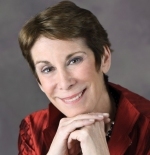 Dorian (Dori) Mintzer, M.S.W., PhD and Board Certified Coach, has over 40 years of clinical experience. As a therapist, coach, consultant, speaker, writer and teacher, she brings her expertise in adult development and positive psychology combined with her personal and clinical experiences to help individuals and couples navigate the second half of life. She facilitates the free, 4th Tuesday, Revolutionize your Retirement Interview with Experts Series. Dori is co-author of The Couple's Retirement Puzzle: 10 Must- Have Conversations for Creating an Amazing New Life Together, one of the co-authors of Live Smart after 50!, and a contributor to a number of books including Not your Mother's Retirement; 65 Things to do When you Retire and its sequel 65 things to do When you Retire: Travel; 70 Things to do When you Turn 70 and the Six Secrets to a Happy Retirement. She's been quoted in a variety of national and local publications such as the WSJ, New York Times, USA Today, The Washington Post, and Financial Times and featured on NPR Talk of the Nation, the ABC Evening news and The Today Show. Learn more about Dori at Revolutionize Retirement. You can reach her by email. Have you been thinking about and even worrying about the upcoming years—and your spouse wants nothing to do with it and thinks you’re “crazy” to be thinking about something in the future? Or, perhaps your spouse is pushing for the discussion and you don’t even want him or her to consider retiring since it will upset the balance in your life. If so, you’re not alone. Many couples are not on the same page when it comes to talking about retirement. There may be differences about if, when and how to retire as well as life-style issues. Even the concept of retirement is undergoing change—we’re living longer and many people don’t want to retire and/or realize that they can’t afford to retire so they don’t outlive their money. “Retirement” is still the term people use—but it’s often more helpful to think about retirement as a process, transition or journey—it’s no longer a destination. Some people want to stay in their current job and others want to retire from their current work, and want to use their skills in another way, such as an encore career, project or temporary work. Still others may have been “retired” from their current position by downsizing and want or need to work but find it difficult to find another job. In addition, there are now many dual career couples. It’s not unusual to be “out of synch” with your spouse. Some women started to work later and are in their prime when their husband/partner is ready to “wind down.” You may have different dreams, goals and priorities from your partner and there may be differences in your ages and/or health related issues. In addition, women don’t necessarily want to live their husband’s retirement dream. They want their retirement years to include some of their own dreams. People may also differ regarding where to live as well as how they view responsibilities and obligations for children, grandchildren and other family members. Some people are in long term relationships and others are in newer relationships—with children together or separately or no children and grandchildren. It can feel complicated and overwhelming, especially if you’re not sure conversations will be helpful and productive. It’s a myth that getting older is “all downhill”—it can be an exciting and fulfilling time of life. It is less important what you’re retiring from and more important to think about what you’re retiring to. We’ve learned from positive psychology that well-being is a combination of feeling connected and engaged as well as feeling a sense of purpose and meaning in life. Here are some suggestions about how to have some of these important but difficult conversations with your partner, but also with other people who are important in your life. Start with what is called an “I” statement, where you share what you’re thinking about or feeling. Avoid what are called “you” statements which, too often, can be experienced as blaming or shaming. If you feel attacked or judged there is a normal tendency to shut down or become defensive and then mount a counterattack which is not conducive to good communication! Practice what is called “active listening.” Many of us have a tendency to listen to the first few words and then tune out—either thinking about our responses or already starting to interpret what we’re hearing. You may be right in your assumption of what you think you are hearing—but you could be equally wrong. A helpful technique is to listen, and before you respond to repeat back what you literally heard. This gives your partner an opportunity to say that you did hear well—or to clarify whatever areas you seem to have missed. This also gives you an opportunity to think before you respond so you can think about what you want to say rather than just react. Appreciate what you’re hearing, even if you don’t agree. Sometimes a simple question such as: “Help me understand why that’s so important to you” can go a long way. If you’re not used to talking together, or you know this will be a difficult conversation, set a time limit—it can be as short as 5 or 10 minutes since you can always come back to the conversation at a later time. Decide where you want to talk. For some people it’s good to talk at home. Others prefer to talk in a restaurant, when you’re taking a walk or even when you’re in the car driving together. Avoid Distractions. Be sure to turn off your phones, computers and TV during your conversation. Check out other similar posts in the Relationships category.